While Jonny Quest never reached the same level of popularity as fellow Hanna-Barbera productions like The Flintstones and Scooby-Doo, it’s nonetheless remained a recognizable pop culture property since debuting in the 1960s. It also hasn’t been given the big screen treatment, although for lack of trying. 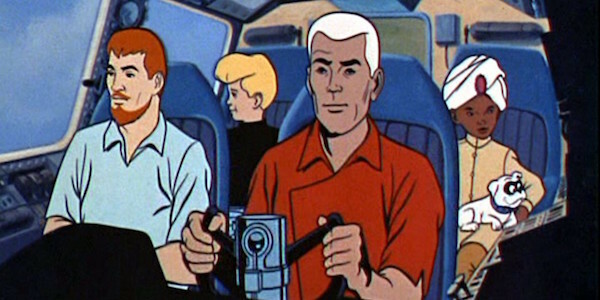 For years there have been numerous efforts to get a Jonny Quest movie off the ground, and now it looks like that’ll finally happen with the hiring of a new director. As reported first by The Wrap, The LEGO Batman Movie‘s Chris McKay has been tapped to helm the live action Jonny Quest movie. Like the original TV series, the movie will follow the young Jonny Quest as he goes on crazy adventures with his father, Dr. Benton Quest, their bodyguard, Race Bannon, and his adopted brother, Hadji. The only other new piece of information revealed in the article is that a “major movie star” is being eyed to play Race. Rideback’s Dan Lin and Jonathan Eirich, as well as Adrian Askarieh from Prime Universe, will produce the Jonny Quest movie, and Daniel Alter is attached as executive producer. Chris McKay has a long resume of animation work across both movies and television, Robot Chicken being the best example of the latter. On the directing side of things, though, he’s definitely best known for The LEGO Batman Movie, the spinoff to The LEGO Movie, where he served as the animation co-director and supervisor. Jonny Quest marks the third live action movie that Chris McKay is set to direct, following behind Dungeons & Dragons and Nightwing. The former is scheduled for July 23, 2021, and while there hasn’t been any major updates about the latter, McKay said last month that Nightwing isn’t dead yet. Where Jonny Quest fits into all this is unclear, although if Dungeons & Dragons is sticking with its current release date and Nightwing remains on the DC Extended Universe back burner, then I suspect McKay will tackle Jonny Quest after finishing Dungeons & Dragons. It remains to be seen if Chris McKay’s Jonny Quest movie will keep elements from the earlier drafts or if it’s starting from scratch on the story, but regardless, this marks an important step forward for a project that’s languished in development hell for a long time. Jonny Quest and his supporting cast recently showed up in the Future Quest comic book series, and Warner Archives is reportedly releasing the entire animated collection on Blu-ray in 2020, so these are good primers to check out before the property is finally adapted in a live action, theatrical setting. Stay tuned to CinemaBlend for continuing coverage on what’s happening with the Jonny Quest movie. In the meantime, find out what movies are arriving over the next year in our 2018 and 2019 release schedules.